When we take a look at ecosystems around the world, ecosystems that exist among colder climates are unique. They are less diverse, but we can see an array of different mammals and marine mammals. When we look at the tundra, we can also see everything from reindeer and wolves to lemmings. 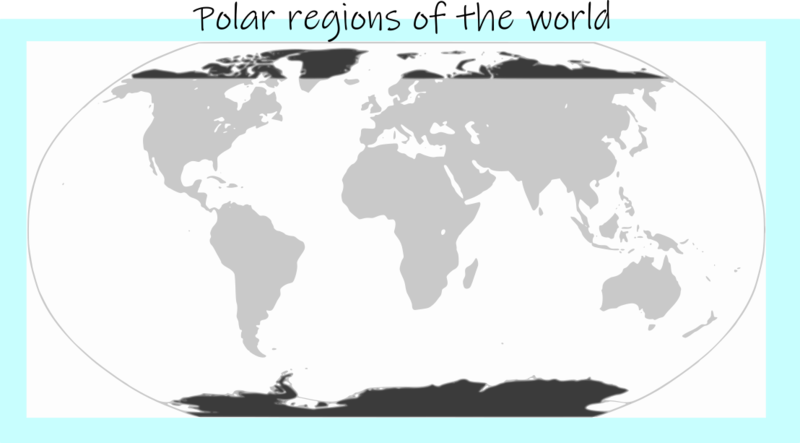 A lot of the animals who call these regions their homes have white coats. This is because they have to be able to hide from their predators in the snow or sneak up on their prey. Because of how difficult it is to survive in these regions during the winter, a lot of birds are migratory birds. 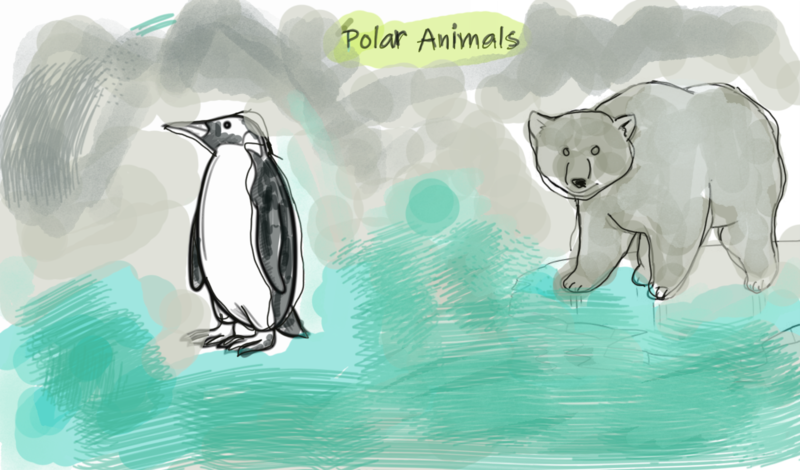 Insulation plays a massive role in the adaptations that can be seen on some arctic animals. For example, a lot of marine mammals like seals have thick layers of blubber. When we talk about biodiversity, we are actually talking about the number of species that we can see. We can see low levels of biodiversity in these regions because of how difficult it is to survive there. This means that any change in the ecosystem would have a massive effect on the other components of the ecosystem. As we are sure you can imagine, it is very difficult for plants to grow in such cold environments. There are some mosses that can thrive, but it is rare to see grasses that are not right on the warmer coasts of Antarctica. We know that all of the biotic and abiotic components greatly rely on each other. If one part of the ecosystem were to slightly change, then the whole ecosystem would feel a knock on effect. In tundra and polar regions, the summer months are very short. This means that a lot of the plants that grow there have adapted to have short growing seasons. In the winter, they usually become dormant. This means that they stop growing. Plants in these regions reproduce in quite a unique way. They use underground runners or bulbs. This is because seeds would take too long to spread and they have the short growing season to contend with. The roots that can be found on plants in the tundra tend to be quite short. This is because a layer of permafrost can be found just below the soil. Our Polar regions are unique because they are some of the most uninhabited places on Earth, although there are a few research bases where people live for short time periods. There are a few indigenous people, but they are few and far between. There are also a lot of indigenous peoples around tundra regions. Because it is difficult to survive in cold environments, almost all of the plants and animals that can be found there are adapted to live there. These adaptations are really important because of how harsh the conditions really are. Unfortunately, a lot of the colder environments in the world are fragile and we have to manage them in a sustainable way. This is because these wild, natural environments are the reality of the world that we live in. They are wilderness areas that are largely undeveloped and uninhabited. If we do not protect these places, then we could end up losing some or all of the biodiversity that can be found there. 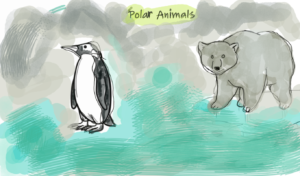 We are also currently able to study some of the plants and animals that can be found in polar and tundra regions, where we can take a look at their ecosystem properly and really understand the roles that they play. If we were to damage these fragile lands, then that damage would be visible for a long time. The species that can be found in these regions are highly adapted and they would struggle to change quick enough to keep up with the damage that we cause. We can see this by taking a look at how polar bear numbers are dwindling as sea ice melts. Conservation groups play a really important role when it comes to protecting these cold environments as they pressure people to protect them. For example, the WWF and Greenpeace are both conservation groups that preach sustainable management. It is really important that governing bodies bring in strict regulations that stop development from occurring in these cold environments. They should also make laws to protect them, like the 1964 Wilderness Act. When we take a look at the map, we can see that some cold environments are currently covered by international agreements. In 1959, the Antarctic Treaty was signed by 12 nations. It limits the number of people who can land at any one given time, which reduces the amount of damage that we cause.